Chinese Premier Li Keqiang arrives in Pakistan Wednesday for a two-day visit where he will meet prime minister-elect Nawaz Sharif as the long-time allies look to boost trade ties. 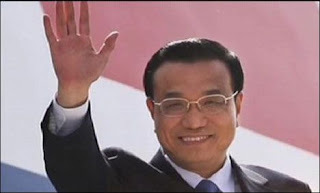 Li, on his first overseas tour as premier, will hold talks with President Asif Ali Zardari and Pakistan's caretaker prime minister on Wednesday before meeting Sharif on Thursday. It may be added that China is one of the biggest trade partner of Pakistan and the trade between China and Pakistan hit a 12-month figure of $12 billion for the first time last year - up 18 percent on the previous year. The two sides are committed to raising this to $15 billion in the next two to three years.